THOUSANDS OF NEW homes will be built on State-owned land, under the government’s new Land Development Agency, which was formally established today. Speaking at today’s launch, Housing Minister Eoghan Murphy said the new agency has already identified eight State-owned land sites and secured agreements for development. The flagship project in Dundrum CMH will deliver 1,500 homes. Construction will begin in 2019, with the hand over of keys happening in 2020. In Cork, the regeneration of the docks will provide a further 15,000 homes. The agency’s interim CEO, John Coleman, who is a former CFO of Nama, said from day one, it can get going on delivering 3,000 homes. A further 7,000 new homes are “in the pipeline”, he said, due to various other negotiations that are underway. The lands up for grabs will be those held by government departments, local authorities, state agencies and enterprises. Taoiseach Leo Varadkar said the new agency “will have teeth” with statutory powers behind it through primary legislation which will be enacted next year. 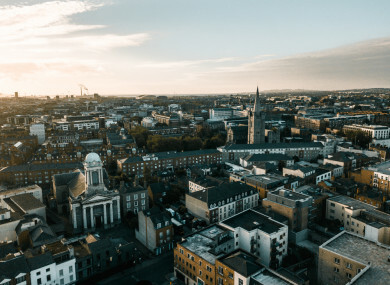 “It will hit the ground running,” said the Taoiseach, stating that having a strategic plan in place for housing will end the “boom-bust cycles” of the past and ensure there is a long-term plan in housing delivery. He added that the new agency will be viewed in the future to be just as pivotal as the establishment of the ESB and the IDA. Murphy said the agency is something the government should have had in place “for decades”. The agency’s new boss said it will manage the funding it gets judiciously. “We will not throw fuel on the fire of an already hot land market by competing on prime acquisitions” – meaning it won’t be getting involved in bidding wars on private land. The agency says it will get these homes built “either directly or through joint ventures with the private sector”. It will also buy up some private land which might be needed for reasons of access and infrastructure to the State-owned lands. What will be classed as affordable housing? Murphy said government policy classes it as individuals earning up to €50,000 or a couple earning up to €75,000. “And then when we talk about house prices we talk about €320,000 generally in the Greater Dublin area, Cork and Galway and €250,000 in other parts of the country. So we will be working towards those sort of affordability requirements that already exist as part of government policy,” said Murphy. Murphy said 2020 “might seem far off” – but other government measures are making progress in terms of delivering housing, he added. “I guess I can see the headline already – ‘New agency not going to build new houses until 2020′ – I could write it myself, but bear in mind, 2020 is 15 months away and with the best will in the world when you go through planning, tendering, design, construction – that is going to take six to eight months, and then you have to build the thing and get it ready for people to live in and that is going to take another six to eight months. “The Land Development Agency is going to parcel up public lands and gift them over to private developers who will make massive profits from them. Developers will be able to sell 60% of the homes built on the open market, in return for 10% social and 30% affordable housing,” he said. The housing minister said the opposition came out to criticise the plan before they had even read it. “They are playing populist, opposition politics”. He called on them to work with the government on the plan. “If Fianna Fáil can’t see the importance of this then they haven’t learned the mistakes of the past and if Sinn Féin aren’t going to engage with us on this then they are proving they are just a protest party,” he said. Email “Dundrum, Skerries, Cork docklands and Mullingar: New Land Development Agency plans to build thousands of houses ”. Feedback on “Dundrum, Skerries, Cork docklands and Mullingar: New Land Development Agency plans to build thousands of houses ”.